Longriggs Brick and Tile Works, Coalsnaughton, Stirlingshire may in fact just have been a clay pit and a source of clay for John Govan at Cornton Brick and Tile Works, Stirling. Below – 1861 – Longriggs Farm. 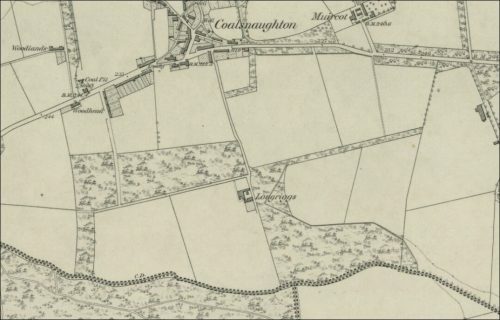 (Note – SBH – I can find no reference to a brickworks or claypits around Longriggs on the OS maps available to me online). 1877 – M Penman, Brickmaker, Longriggs. (Page 45). Next Article Foundry Open Brick Works, Gallowgate, Glasgow.